SVANC meeting agendas are posted on our website and at the following locations (effective 4/09/2019). 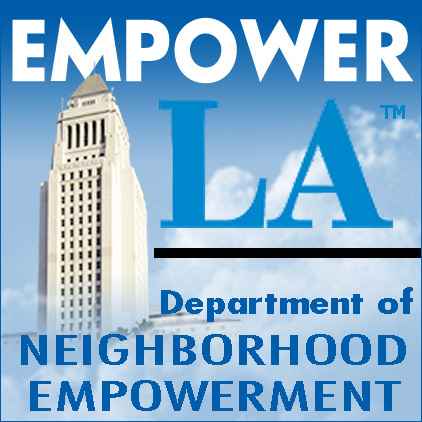 For "Regular" meetings, agendas are posted 72 hours or more in advance of the meeting start time. For "Special" meetings, agendas are posted 24 hours or more in advance of the meeting start time. The Sun Valley Area Neighborhood Council Mailing List through Constant Contact. 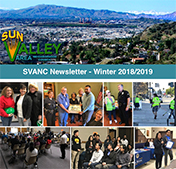 The Agenda for all meetings of the Sun Valley Area Neighborhood Council (SVANC) may also be posted at the following optional locations, although not required. Click here to open a custom Google Map showing the following locations. The Sun Valley Library (LAPL), 7935 Vineland Avenue (Bulletin board in foyer).